What is the “ultimate” peanut butter sandwich? I’ve been pondering this question ever since I found out that “Sandwich” was the theme for The Peanut Butter Boy‘s next Great Peanut Butter Exhibition. As a panini blogger, I ought to have a point of view on this, right? Well, here it is: heaps of homemade peanut butter – lightly sweetened with honey – and delectably sweet caramelized bananas spread upon freshly baked homemade white bread, grilled nice and crispy on the panini press. Sweet and savory, gooey and messy – it’s the ultimate peanut butter panini. It’s funny, I would have thought that becoming a mom would have led me to look for more time-saving shortcuts in the kitchen but these days I really seem to be drawn to making more things from scratch. Making my own peanut butter took only a few minutes longer than just opening a jar of Skippy and the results were so worth it. And fun! It was actually a bit captivating to watch a bowl of roasted peanuts whirl and release their natural oils, crushing down into a rich, spreadable peanutty paste. Even though it tasted great with just a little salt I went ahead and added a touch of honey for some sweetness. When you make your own, you can have it any way you like. Homemade peanut butter deserves to be enjoyed on homemade bread. As I mentioned in my last post, I’m doing my best to bake most of my own bread this year. For these panini, I made the Soft, American-Style White Bread from Artisan Bread in Five Minutes a Day and I’m proud to say it was nothing at all like any bread with colorful polka dot packaging we may have enjoyed in our childhoods. A good amount of butter both in the dough and brushed on top gave a soft, smooth texture and, of course, great flavor. Hey, I didn’t say this was the “lowest calorie” peanut butter sandwich! When it comes to caramelizing the bananas, you may find you’ll want to make some extras because it’s pretty darn tempting to pop a whole lot of these little buttery, candied discs in your mouth before you’ve had a chance to build any panini. I’ll admit I ate quite a few of them. 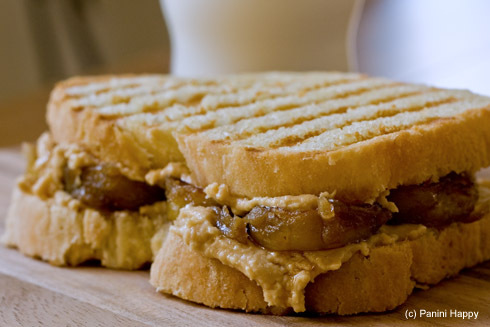 There you have it – one deliciously indulgent recipe for peanut butter and caramelized banana panini. If it’s not the “ultimate”, then I’ll be really excited to taste what is! 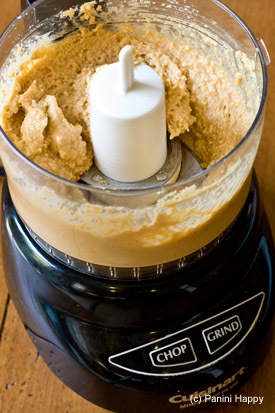 Place peanuts, honey and salt in the bowl of a food processor with blade. Make sure the lid is on tight and turn on the food processor. Nuts will transform from coarse to finely ground then begin to form a paste. Scrape the sides of the bowl as needed. Process until the peanuts resemble a thick, but mostly smooth, and shiny peanut butter, about 4 minutes. Set aside. Place a large non-stick frying pan over medium-high heat. When hot, sizzle one tablespoon of butter in the pan for a few seconds, then add bananas. Allow bananas to brown for about 30 seconds without stirring or moving them. Use a heat-proof spatula to turn bananas over, then add brown sugar, cinnamon, and remaining tablespoon of butter. Shaking pan to keep bananas moving, cook about one minute more, until sugar is melted and bananas are caramelized, but still solid. Remove from heat. Preheat the panini grill to medium-high heat (375 degrees). For each sandwich: Brush melted butter onto the outer sides of two slices of bread and spread a generous amount of peanut butter on the inner sides. 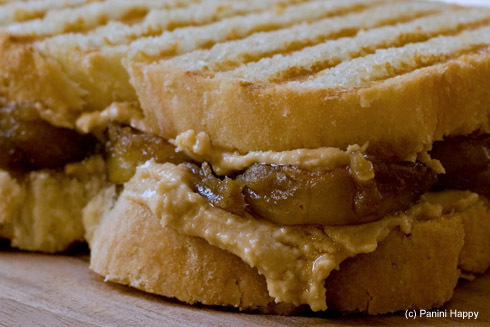 Arrange a single layer of caramelized bananas on one of the slices of bread and close the sandwich with the other slice. Grill 2-3 minutes until the bread is toasted and golden grill marks appear. Serve immediately – with a tall glass of cold milk – and enjoy! Yum! Love the idea of sweetening the peanut butter with honey. I think this is my favorite panini you’ve made thus far! This is one gourmet sandwich! I’m definitely going to try homemade peanut butter soon. You’re right – it’s so simple and so much healthier than the packaged kind. I can imagine how delicious homemade peanut butter is. I am sure it will be delicious making some humble peanut butter sandwich with caramelized bananas. There, it become a gourmet panini! 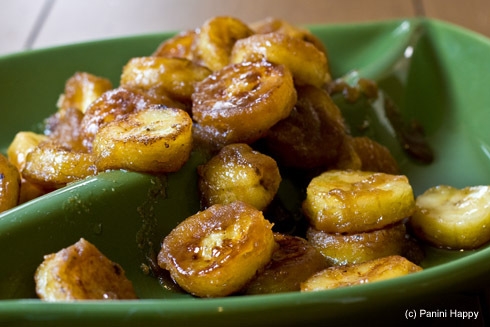 I would love the caramelized bananas on their own! YUM! I really think your blog deserves to be more well-known, it always just astounds me how you can take ANYTHING and turn it into a panini… it’s really commendable. those bananas! oh my sweetness. This is for the nostaglic folks! Love the homemade pb. That’s over the top! 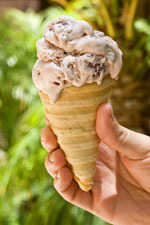 The second I saw this picture on foodgawker I knew it had to be yours- YUM!! oooh, and how cool is that comment luv feature that shows people’s last posts?? I’ve never seen that before, how fun! Pairing those caramelized bananas with homemade peanut butter is gilding the lily in the best possible way. Panini genius! This looks so good and gooey and wonderful! This is possibly the best thing I’ve seen on Tastespotting yet! I could eat this happily everyday. Thank you so much for sharing, I’m drooling over my screen! Oooh! I am literally drooling over this one! There is nothing like a really good PB and banana sandwich, and you’ve elevated this one 10 levels! 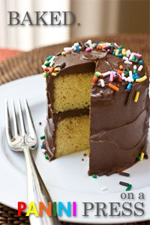 I am going to have to make this one SOON! My son would think I was the best mom in the world if I made this for him. Looks amazing! I’d wager if there was an authentic live Elvis siting it would be in your kitchen the next time you make this! I just got a panini grill yesterday and was searching for recipes! This looks awesomely delicious! I am so happy to find your site and just joined up. Thanks for the recipe! I’ve never been able to figure out the banana peanut butter sammich thing. But you might be able to convince me, Kathy. You just might. lo!’s last blog post..Mad Fusion to the Rescue: Reuben Calzones for Dinner! Ok, so how weird is this that I was just the other day thinking I should start making my own p.b. and here you have the info. on it too!? Since I was a child I have LOVED the combo of pb & bananas on a sandwich and you’ve totally convinced me to try it as a panini! BTW, thanks for the heads up on the bread book–I picked up a copy of it a my local library yesterday–I think it may actually be doable! Brenda’s last blog post..Cook Like a Television Chef! Definitely indulgent, even for me 🙂 Sounds so good with the caramelized bananas. We serve a version of this- Peanut Butter, Banana, and Marshmallow on wheat bread. Grilled on a panini press, this makes a great dessert sandwich! Summer’s last blog post..Easter’s on its way..
Elvis is drooling in his grave. Holy cow that looks amazing!! Just reading about it, makes me drool. It is great that you are making more things from scratch. Admire you for that! .-= Reina @ Mini Food Processors´s last blog ..KitchenAid Food Processors =-. Awesome recipe. The instructions don’t mention when to use the honey or salt for the peanut butter, though. I don’t know which of your sandwiches I like more. I love my panini maker, it has a permanent home on my counter, I would have never imagined there was so many uses for it. Hope you have a great weekend. Next post: You’re Invited to My Blog-Warming!